Most of us take our bottles and cans to the closest SLV Recycling Center (Felton, Ben Lomond, Boulder Creek) and drop them off, generously donating the materials, right? Then we thank the staff, smile proudly, and drive away. . . 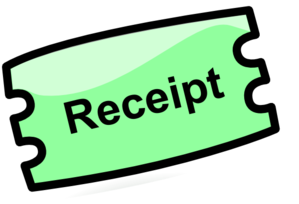 But guess what – for the Recycling Center to get the FULL CRV reimbursement payment from the State for the value of the materials you are donating, you need to take one more step – ask the great folks at the Center to weigh or count the bottles/cans and give you a scrip for the value. THEN, take the scrip home and tear it into tiny pieces, shred it, start the barbecue with it – that way, the Recycling Center will get paid by the State. 1. Take CRV materials to your closest SLV Recycling Center. 2. Have it weighed or counted. 3. Get the scrip for the CRV. 4. Take the scrip home and destroy it. 5. Pat yourself on the back – that’s the exercise part of the program. 6. Smile – you’ve just made a donation to the SLV Recycling Centers! Thank you for being such wonderful customers and making many of our programs function with your kind donations!